Water, Whole Lentils, Tomatoes, Onions, Sunflower Oil, Chickpeas, Garlic, Salt, Ginger, Chilies, Coriander, Turmeric, Spices. Whole lentils cooked in a light gravy of aromatic herbs and spices. 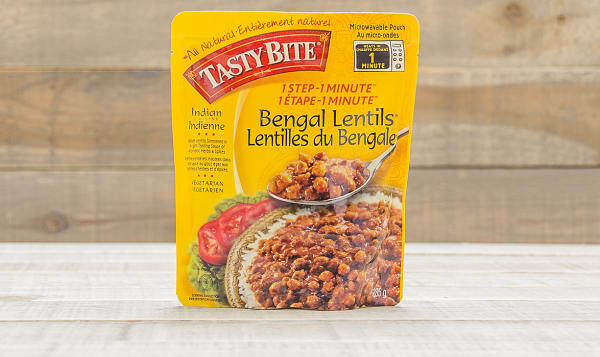 These Bengal Lentils are packed with flavor, protein, fiber, and other nutrients, making them the perfect marriage of nutrition and exquisite flavor. Serve over your favorite rice for a meal to remember.